HomeCatalogPain ManagementBAG ICE ELASTIC WRAP CLAMP CLOSE 6X8.5"
BAG ICE ELASTIC WRAP CLAMP CLOSE 6X8.5"
Refillable Ice Wraps: Medline Ice Bags Can Be Reused By Individual Patients. Because Fewer Replacements Are Required, Your Costs Are Reduced. 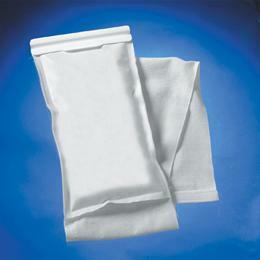 Ice Bags Have Clamp Or Zip Closures And Are Attached To An Elastic Wrap. Easy Open/Close Clamp, 6" X 8 1/2".